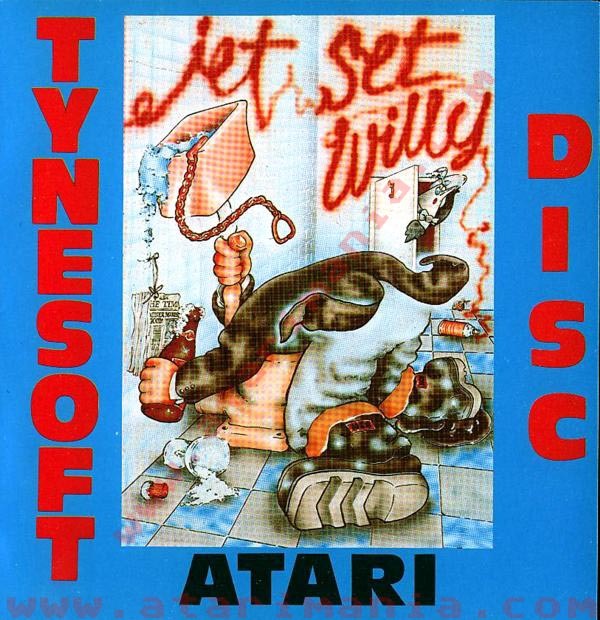 Amazing music, the idea of tidying the house so you could goto bed was cool, but the atari version had an evil glitch if anyone else ever noticed - when you lost a life - it respawned you in exact same place so you just died over and over until your lives ran out. was super annoying, could of been made much better. 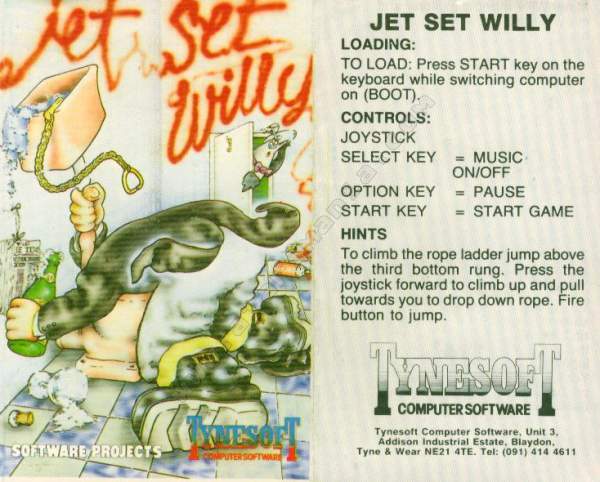 This is.... *not* the best version of JSW out there. In fact I've heard it called the worst, and music aside, I'd probably agree with them. The graphics are worse than the speccy. I know that the Atari's lack of a true multicolour hi-res is a major weakness, and that medium res was probably a better choice, but they just did blockier versions of the limited spectrum graphics without (e.g.) exploiting per-pixel colour resolution and DLIs. (Look at the JSW sprite homages in Henry's House to see how they *could* have been; yeah, JSW *does* have DLIs, but only for basic gradient backgrounds). Plus, this came out three years after the original; standards had improved by then... Music is good in this version; although I slightly miss the original, this has more variety (if you listen carefully you'll hear that it goes on quite a long time before completely repeating). 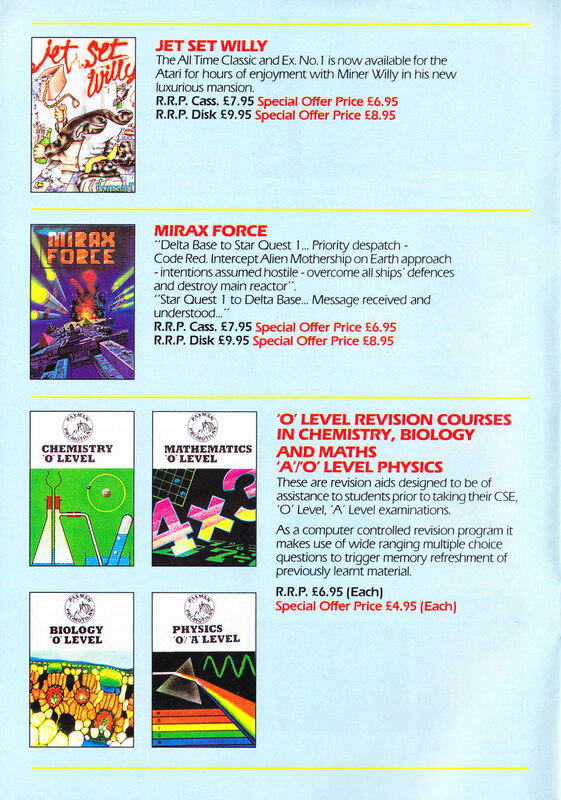 Re-released on the Four Great Games Volume 1 and Four Great Games Volume 2 compilations. 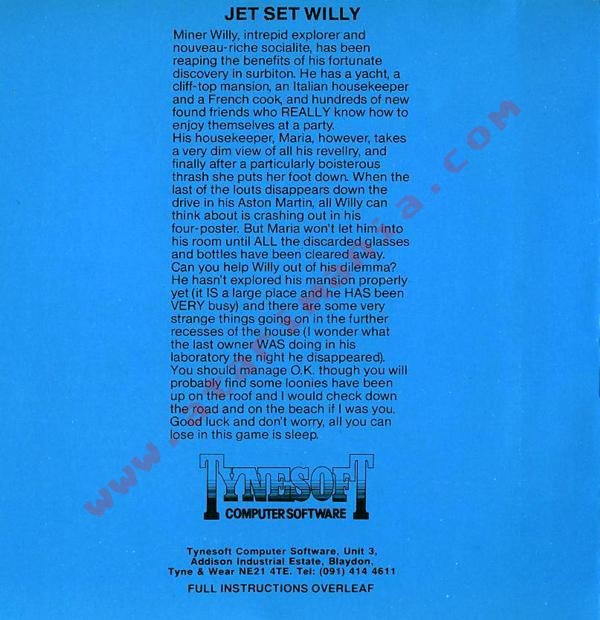 Be sure to check out Jet Set Willy 2007 ported directly from the Sinclair ZX Spectrum.